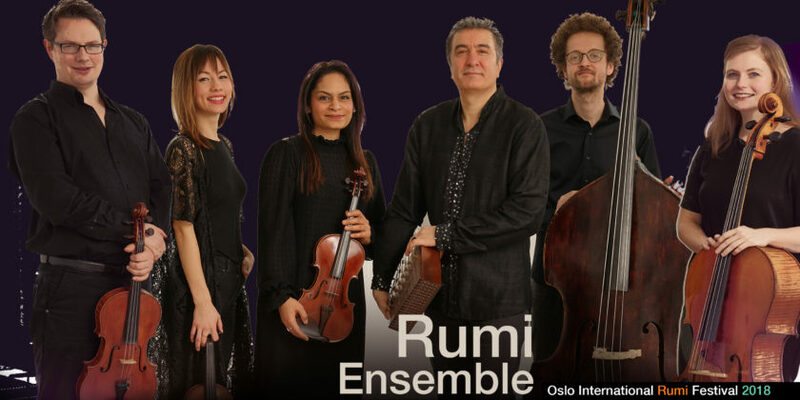 Rumi Ensemble is an ensemble after our own hearts. Rumi is the figure that ties them together. The symbol of Rumi is what ties our hearts to them. 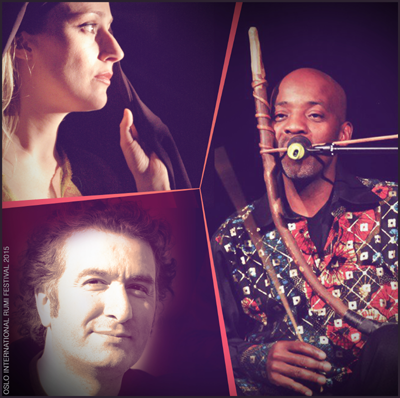 Rumi Ensemble, established in 2007, is led by Javid Afsari Rad, who besides composing and arranging the music, plays the Persian santur. 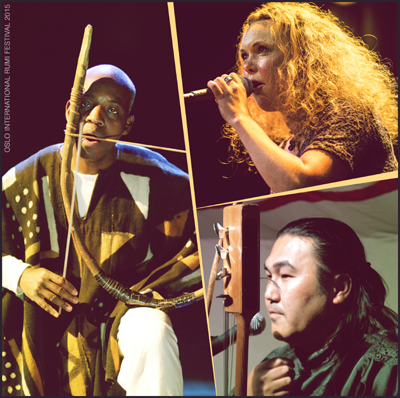 The rhythmic aspect is a central element in Rumi’s poems, and Javid incorporates this rhythmic energy and vitality into his music. 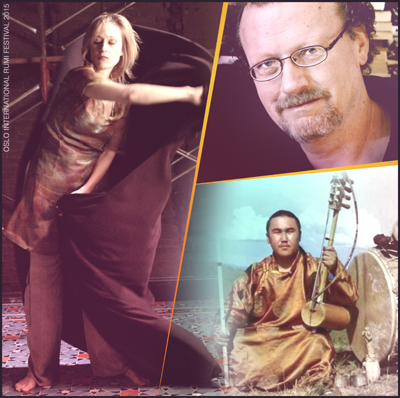 We were lucky enough to have them participate in our festival in 2010 with Øst møter Nørd and again with I Rumis Fotspor in 2015. We are honoured to have them back this year to celebrate our anniversary with us. 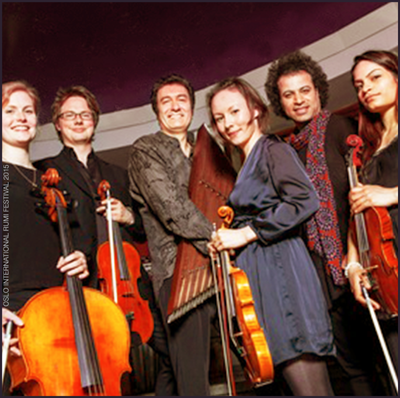 Javid Afsari Rad (composer, santur), Sara Övinge (violin), Emilie Heldal Lidsheim (violin), Bendik Foss (viola), Tove Margrethe Erikstad (cello), Habib Meftah Boushehri (percussion), Adrian Fiskum Myhr (contrabass).